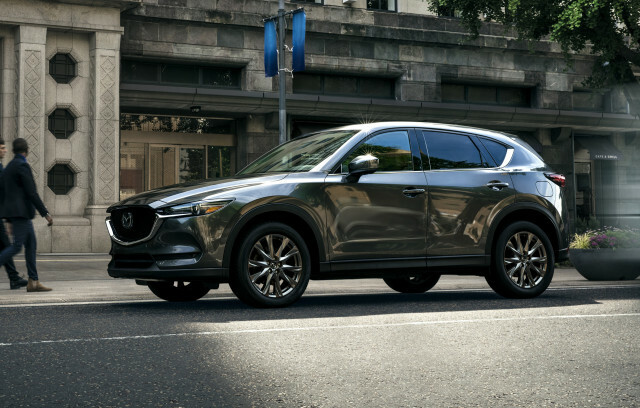 Some crossover SUVs have more style, others have more features. 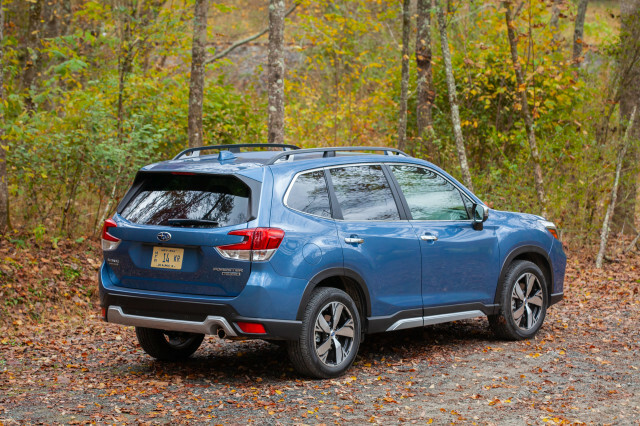 The scrappy 2019 Subaru Forester climbed to the top of our ratings with its unbeatable blend of everyday practicality and value. 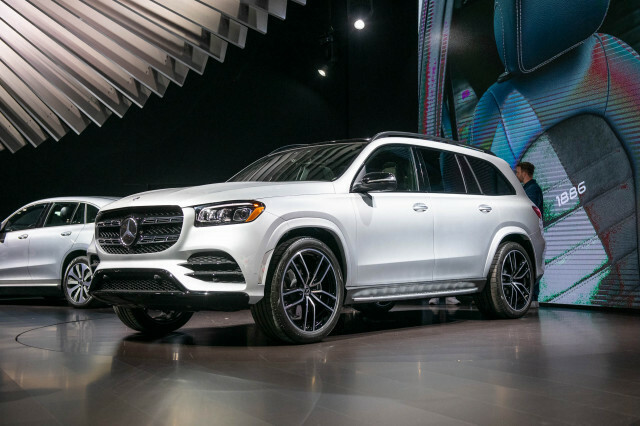 It’s our Best Car To Buy 2019 and it’s our first repeat winner, following up on the 2014 model’s title. What the 2019 Subaru Forester lacks in flash, it more than makes up for in substance. 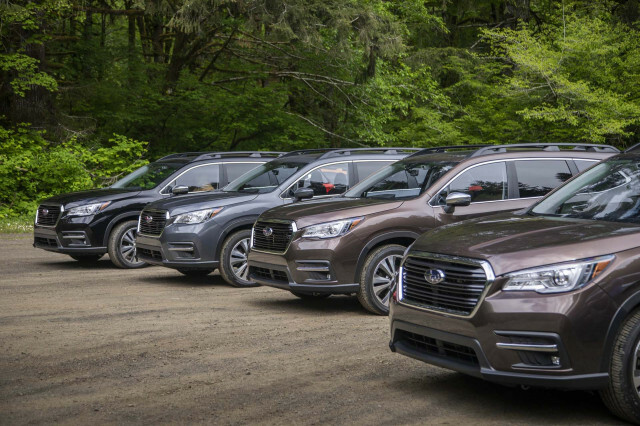 The redesigned Forester doesn’t stray far from the formula of its predecessor that won us over. 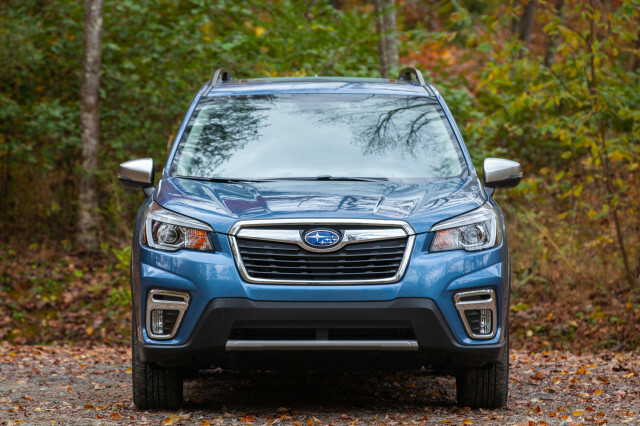 Instead, Subaru steadily improved the Forester to make its interior even more spacious for humans and cargo, packed in nicer materials, and upgraded an already impressive safety and convenience feature set. For about $28,300, a well-equipped Forester Premium appeals to our frugality without feeling like a budget crossover SUV. Costlier trims make just as much sense for those who want a little pampering: At around $32,000, the Forester Limited is a lesson in restrained extravagance. 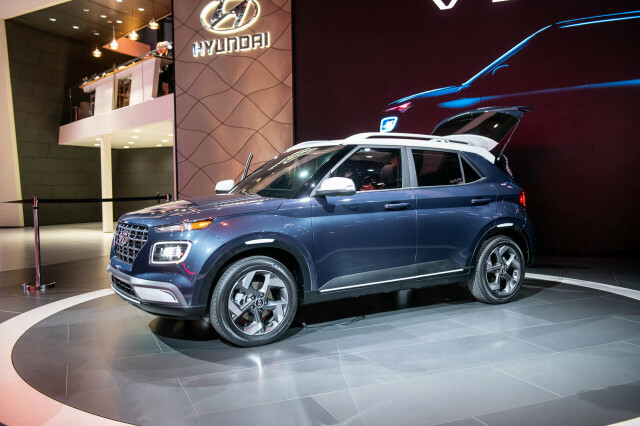 All Foresters use a 182-horsepower 2.5-liter flat-4 paired to a continuously variable transmission that furnishes good acceleration and impressive fuel economy. 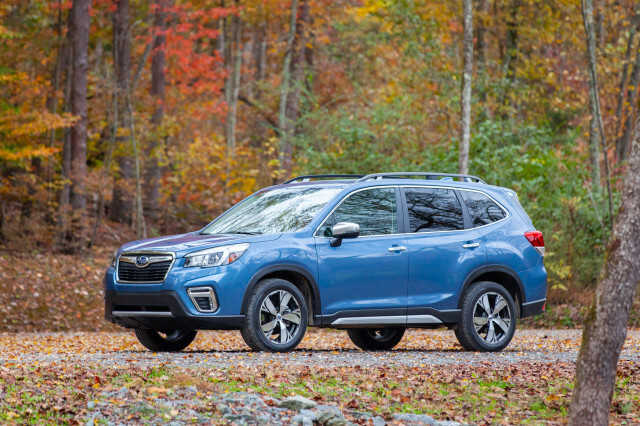 At 29 mpg combined, the all-wheel-drive Forester bests lighter and less powerful rivals with front-wheel drive. New, stiffer underpinnings this year allowed Subaru to soften the Forester’s suspension to provide better isolation from the road without compromising its handling. Pushed into a corner on our Best Car To Buy test routes in northern Georgia, the Forester responded eagerly. We can’t wait to see how Subaru will tweak this platform for its next WRX sports sedan. Last year’s turbocharged Forester XT didn’t make the cut for 2019, but we hardly miss it. The Forester’s standard engine provides adequate acceleration and it suits this crossover SUV’s everyday living mission well. Inside, the Forester’s big side windows, narrow roof pillars, and low window line set the standard for outward vision. No rival offers a clearer view of the road behind, let alone what’s ahead. Though its dashboard design is busy, all Foresters have nicer materials and stitched surfaces that feel price-appropriate. Unusually wide door openings and a low stepover height make the Forester easy for loading passengers of all sizes. The rear door opening makes cinching a child seat, well, a cinch. The Forester’s new C-shaped taillights won’t win any styling awards, but they flank a tailgate that might as well be a barn door. It’s exceptionally wide, and the cargo floor is low enough to easily load heavy objects. A power tailgate isn’t standard, but a Forester with that convenient feature costs about $30,000. Subaru doesn’t skimp on safety features, either. Every Forester rolls off the assembly line with automatic emergency braking, adaptive cruise control, and active lane control—features we consider essential. Blind-spot monitors and rear cross-traffic alerts are inexpensive options. 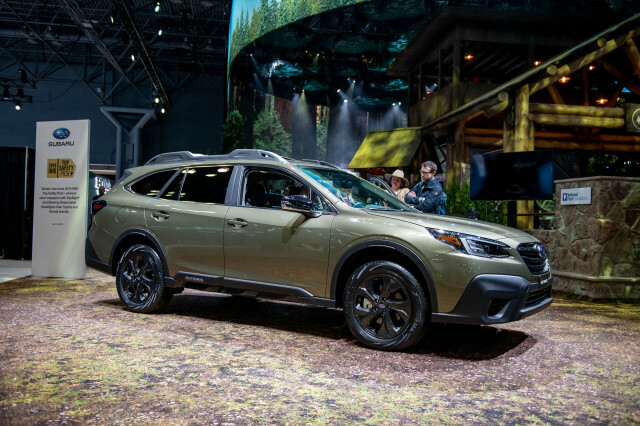 We also like Subaru’s initiative with an attention-monitoring system that points an infrared camera at the driver and sounds an alert if it detects inattentive behavior. The system also memorizes the driver’s eyes and adjusts seat, audio, and many other settings immediately. For infotainment, most trims use a bright 7.0-inch touchscreen with excellent integration of Apple CarPlay and Android Auto compatibility. The 8.0-inch screen available on Sport and standard on Limited and Touring trims allows smartphones with near-field communication to be paired by tapping the dashboard, too. The larger screen can be fitted with navigation, but updates to CarPlay and Android Auto are enough for us. 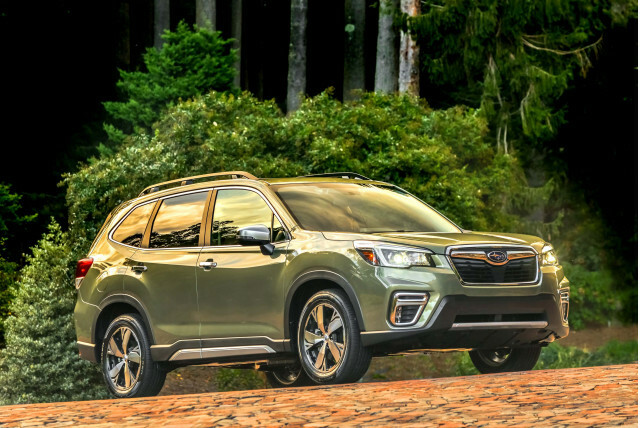 Other crossover SUVs may have more personality or more powerful engines, but none match the Forester’s just-right blend of utilitarianism and comfort. 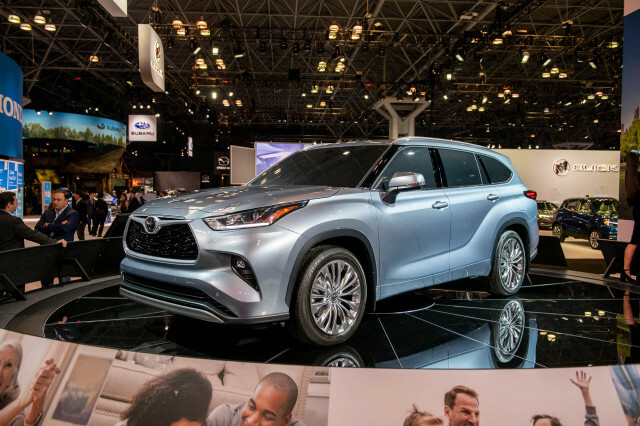 Our hats are off to the first repeat winner of The Car Connection’s Best Car To Buy award.